Michael Kors launching a chatbot for its Android Wear collection might not sound like the kind of news that will dramatically alter the path of smartwatches, but it did get me thinking. When I read that the fashion brand had taken it upon themselves to help guide new owners of its Access Sofie on how to make the most of their new watch, I couldn't help thinking, "Isn't this what Google, not Michael Kors should be doing?" Okay, so Michael Kors has tried its best to dress up what is essentially a tutorial by also offering suggestions on styling your Sofie. But doesn't this already exist when you boot up your Android Wear smartwatch, wait for the logo to disappear, do the smartphone pairing dance and then get walked through the Wear basics? It feels a lot like Google is beginning to adopt the mindset of, "We've given you the nuts and bolts (and the smarts), now we'll leave you to it". I'm sure the Android Wear updates will continue to roll out in the uneven manner they have done so far, but I can't help thinking the fact the usual tech suspects are not making smartwatches has somehow knocked Google's confidence about the future of the platform. Having the likes of Sony, Motorola and Huawei back away from a movement they initially supported cannot have been seen as a good thing. 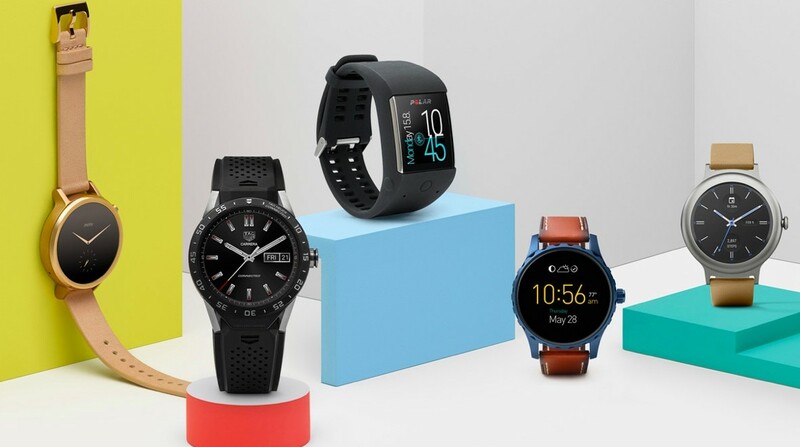 It perhaps leaves only LG to carry the tech company mantle for Android Wear, as the fashion brands and traditional watchmakers try to inject life into their watch sales and in the process get more smartwatches on more people's wrists. People leave jobs all the time but the departure of David Singleton, the former vice president of engineering for Android Wear, has to be seen as major blow for the platform too. If you loved the improvements made in Wear 2.0, this is the man to thank. He also led things on Google Fit and was a big driver of fashion companies like Fossil entering the Android Wear realms, delivering some of the best Android Wear smartwatches we've seen so far in the process. In 2018 so far we've had more Fossil Android Wear watches and a software update that makes it easier to read notifications, which amount to the headline news for Android Wear. Granted, we are only a month into the new year, but I want to have bigger reasons to be excited about Google's riposte to a steadily improving Apple Watch and what the likes of Samsung, Garmin and others are doing for the smartwatch movement. But there's also a flip side to this. Maybe this is a new Google strategy it's adopting. Take a step back, still do the tinkering in the background, but let Fossil, Tag and others push the Wear message. A message where Google has decided to give these smartwatch newcomers more of a say on how Google's OS can find its way into people's lives. Its strategy hasn't appeared to work too well so far, so maybe this is the way to make sure all the good that does exist in its software doesn't all go to waste. That would be a real shame if Google didn't have the stamina to make Wear really useful. Now, with LTE coming into more and more smartwatches, they are finally on the brink of usefulness, and Google bails out? That is a bit of a problem with short-termed iterative and cooperative development cycles such as Agile / Scrum: Visions tend to get lost in consensus, the pressure of pushing out updates when none are really needed (I always dread firing up Google Maps just to find out they changed the f...ing UI again) while ignoring leveling phases needed for inspiration, and finally that obnoxious human behaviour that team-based development often does not bring the best ideas to fruition, but just follows those that shout the loudest and have the biggest cojones or those who keep talking when everybody else has already nodded off.